The common denominator though is the food delivery service. Our story starts with GrubHub. In 2004 GrubHub was an idea from two web developers who decided to collect hundreds of menus from restaurants in their Chicago neighborhood. When they asked for a 10% commission on whatever was ordered from their “aggregator” website, the restaurants agreed to pay them. Next came San Francisco and the rest is history. Now we have two basic business models that are being combined in different ways. One is the “marketplace” that takes the order and routes it to the restaurant while the other also does the delivery. Both receive revenue from restaurants and some also charge consumers. And these are their consumers. 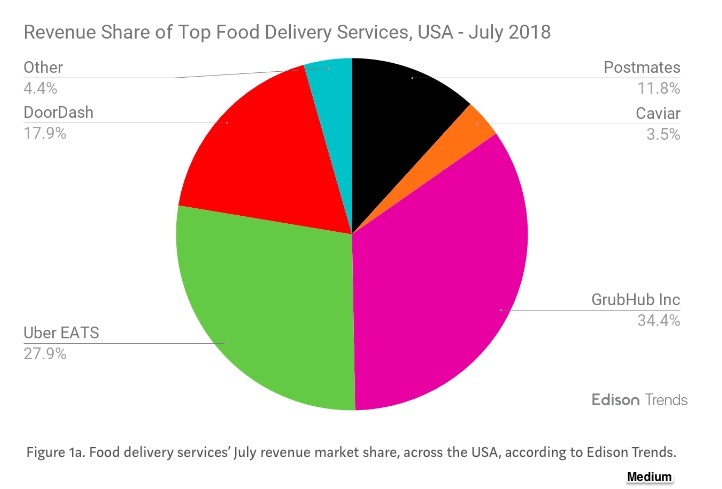 We could say that online food delivery markets are transforming supply and demand. Only an idea in 2004, in 2018, on the supply side, they have expanded restaurants’ clientele to diners located far from any retail establishment. In fact, some suggest we will soon have “cloud” restaurants that solely exist online. Meanwhile, on the demand side, consumer choice has expanded as has the ease of takeout. I like to think of it as the power of the market. 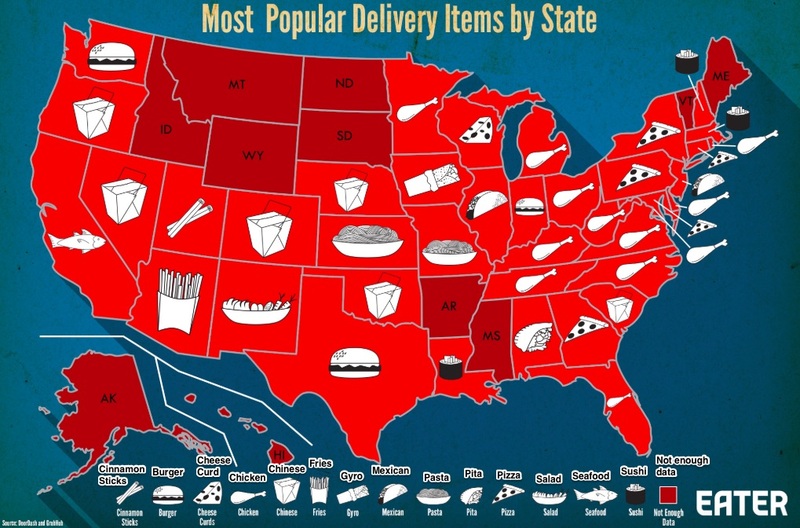 My sources and more: Always interesting, eater.com started me along the path of takeout research. My next stop was a 2018 USA Today article and this history of GrubHub. Meanwhile, you can find more detail about the business here, here, here, and lots more . Finally, for the overview, this 2016 McKinsey study came in handy as did this article from Medium. Our featured image was from GrubHub.